Author Anxiety – What Do I Call Myself? Lately I’ve been noticing some anxiety among writers about what they should call themselves. There are so many terms now and some of them quite official (especially when applying for grants) – emerging writer, established author, aspiring author, aspiring writer, published writer, published author, unpublished writer. Some don’t want to claim too much or too little progress. 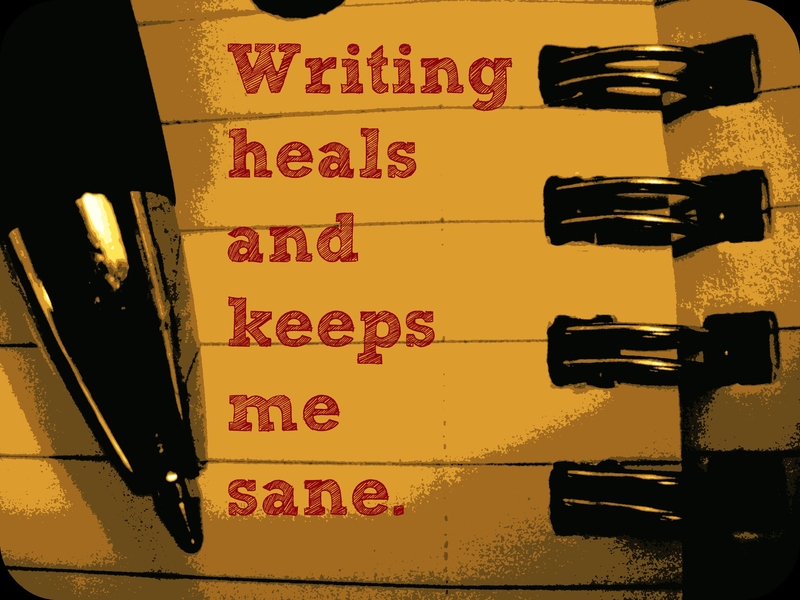 Others complain that some writers and authors claim too much. As for Author it is usually associated with being professional but not always. 1 a). The writer of a book, article, or other text. b. One who practices writing as a profession. 2. One who writes or constructs an electronic document or system, such as a website. 3. An originator or creator, as of a theory or plan. And furthermore the same dictionary says the ultimate author is – God. Where is this anxiety coming from? For others self published authors are people who couldn’t or just wouldn’t find a voice in mainstream publishing because of colour, gender and spirituality and have begun to publish the stories they know their community wants and others might want to hear too. This kind of self publisher is publishing histories and stories, manuals, self help books, and guidebooks, cultural heritage texts. Their books are not destined neccessarily to be best sellers but the stories they tell are important, that’s why they publish them. I think of The Story of Fred Murray pamphlet and The Narrative of Frederick Douglass. And then there are some self published authors who were traditional authors once and worked out they were better going independent. Add to that the world of bloggers – coming from all walks of life with varying degrees of writer training. They’re sharing life stories, crafts, photography, poetry, recipes, views on parenthood and more. They are now told that their blogs are publications when entering competitions. As for the published authors they are not free from these frameworks – some are commercial writers, technical writers, literary writers, nature writers and more. Some make a lot of money writing in popular genres. Some scarcely survive and so writer communities create funding to look after them in their old age. But both these professionals and semi professionals must engage the reader – and the reader’s choices are guided by – internet searches and bookshop shelves, online book stores and word of mouth recommendations. So many studies are being done in this area I could get side tracked and go off on a tangent right now. So many people, so many stories, make it so hard at times to negotiate becoming a paid published author. When I see these discussions my conclusion is – be a storyteller. Just write. Examine all the options open to you to share your work with the people who will benefit from reading it. As a second generation migrant, I’m writing and telling stories in many genres to find where my authentic voice lies. I try documentary, fiction, poetry, creative film, mainstream comedy and I keep on experimenting with the style and options of publishing open to me, some doors open and some don’t. My dream is that my readers will tell me what it is they want to hear from me the most and then I’ll be well on the way to building a bigger audience. I work on making my writing the best it can be – and study and craft, study and craft. One day success however we measure it may arrive. But another way of measuring success is to keep writing and improving and learning from what others you respect say to you. Can we only measure success in financial and material terms? I’ve been observing discussions where some claim that you are only worthy of respect if you sell a lot of books? Others think it’s if you win literary prizes judged by those who can really write. There is an extra dimension of the popular versus the high literary craft that creeps into many of these arguments. I for one am never going to be a fashion and celebrity blogger or writer. But how many celebrities turn their hand to writing children’s books and life style manuals. Maybe it’s the craft and sales combined that determine a writer’s credibility today – a book that uplifts anyone, entertains, educates has had a portion of success. Writing is diverse as the people who employ it as their primary mode of creative expression. It will keep developing and emerging, in spoken, written and digital cyber forms. I for one am excited about the possibilities it offers. It’s all about being open to diverse opportunities to create and share and not denigrating anyone’s choices. It about accessibility, diversity and supporting the writer and teller of stories to develop their craft. It’s about accepting that not all of us who write well will ever be able to make an income out of it. We may have to have other jobs. So where is anxiety coming from for the new writer? Perhaps its from the growing realization that there are so many writers out there that not all of us will be able to do it full time, no matter how good we are or become, or which publishing option we go with. You see however much writers and publishers complain there is the unknowable magic of writers finding their readers – and readers finding the writers they love, that is not something we can individually control or predict, even if we can have a pretty good guess and strengthen the odds with attractive writing. Gail Kavanagh ‏@kavwriter @gumbootspearlz @KrgFNAWN @greenbirdspirit Professionally I was a journo. Now I write because it’s what I have always done – it’s my voice. Tory-Ann Torres ‏@greenbirdspirit @gumbootspearlz @KrgFNAWN @kavwriter a writer can be a person who loves to write in any form. Ann Frank for example was a writer. Yes, definitely stop worrying about labels and finish those books! Thanks for sharing your enthusiasm and wisdom. Love your work. Great article (as usual), June. It’s true–there is a lot of anxiety around titles, and so much of it has to do with the state of flux that the publishing world is in. I was first published overseas in a children’s magazine at fourteen. A poem about trees and shadows. I can’t find the original copy anywhere but I remember the glow of having someone else share my work that didn’t know me at all. I also had a poem on peace published in the local paper which I was so pleased about as it was something I believed in and as a youth I felt I had a voice. I was so happy that day and that positive feeling from publication has stayed with me all my life. Ah what a lovely thought! Optimism, hope, dreaming, perfect names for the perfume of encouragement. Writing Is writing. Regardless of exactly what is written. Titles are just that. Call yourself what feels right. I’m a novelist because I’ve written novels, but I’m also a full time writer, poet, storyteller, etc, etc. It’s hard to find one term that defines us best. Don’t worry about the title and do what you love. It is wonderful to escape definition. All the power to you. Keep writing that’s my motto! Hahaha – love this comment. Yes, and today I’m making a short film. Better try and finish it. Thanks so much for your thoughts. I’ve just been seeing so many people exploring and grappling with this issue, sometimes to the detriment of just getting on with writing. I learnt a lot reading this post. I admire your knowledge! It’s always a lifelong journey hiMe, thanks for reading the post. I am happy to call myself a writer because I feel like one. Sometimes I struggle to introduce myself a musician, but feel comfortable saying I am a singer/songwriter. I feel great telling people I write poetry but don’t feel ready to call myself a poet. I’d like to join the Australian Society of Authors and one day, when I feel like one, I probably will. This is a great post June. I am always interested in how we define ourselves. You’ll know that moment Mel, take things at your own pace. I have taken to saying I tell stories, and not worrying about what format, film, poetry and writing. Would love one day to share more the songs I’ve written and admire all those that do so already. One day perhaps I’ll call myself singer songwriter – or maybe just song writer. A friend,who is a guitar teacher and self-published author told me the other day that even he struggles to call himself a musician; he prefers to say “i play music and write”. After speaking with him just two weeks ago I started to feel more like a writer. You have inspired me with the ripple poetry blog to begin to actively write and share more poetry. So perhaps, your songs will begin to emerge more too. Great post! I believe that as writers, we paint pictures with words. And, as in art, we create and release from inside. That substance from inside which comes out in words, connects with the reader, and just as we connect to audiences using visuals in art. Thanks so much for your comment. All the arts are for me connected to. Well put.